gosh, I can't believe that it has already been weeks since I have posted last. 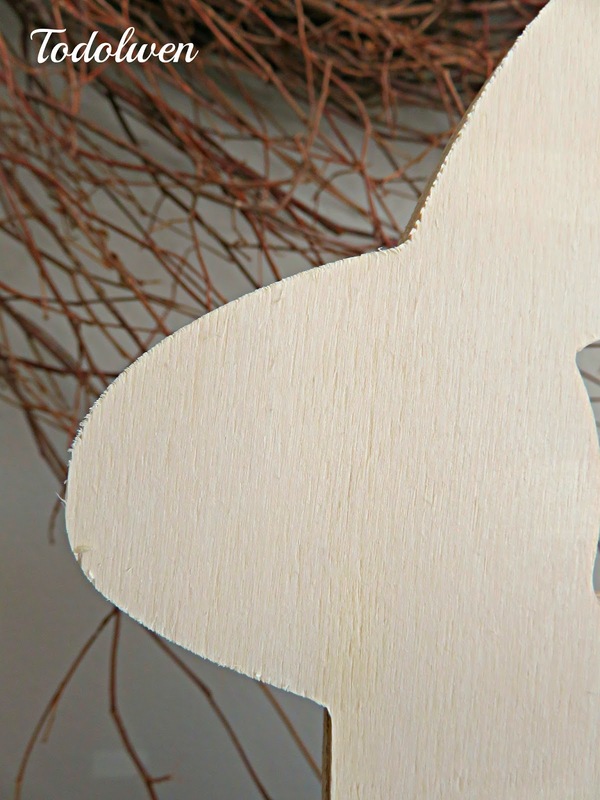 When I create, I try as much as possible to use vintage or antique pieces or I try to recycle newer things. More and more these days I try to find unique pieces to work with but who would have thought, that the Dollar store would have something neat for me?! I normally buy garbage bags, aluminum foil and maybe a few other bits and pieces at the Dollar store. At times I just like to walk through the store just for the sake of seeing what they have on their shelves. A few weeks ago was one of those times. I went for a walk with my daughter Ashleigh since the weather was nice outside. The sun was shining and it had warmed up a little. After a good cup of coffee and a nice chat at Tim Horton's we decided to stop at the Dollar store on the way home. The store had started to display it's Easter merchandise and amongst all the bright colored Easter eggs, fluffy bunnies, Easter baskets and all sorts of other Spring and Easter themed bits and piece, were some very plain wooden cutouts. 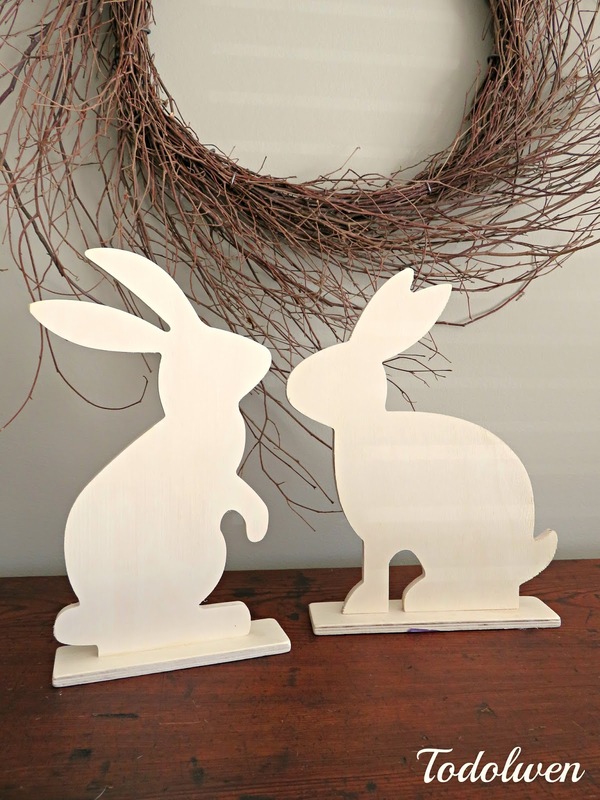 They were bunny silhouettes made from 1/4 inch plywood and they actually didn't look bad at all. My daughter thought that I should buy them because they were perfect for me to work with, so I did. 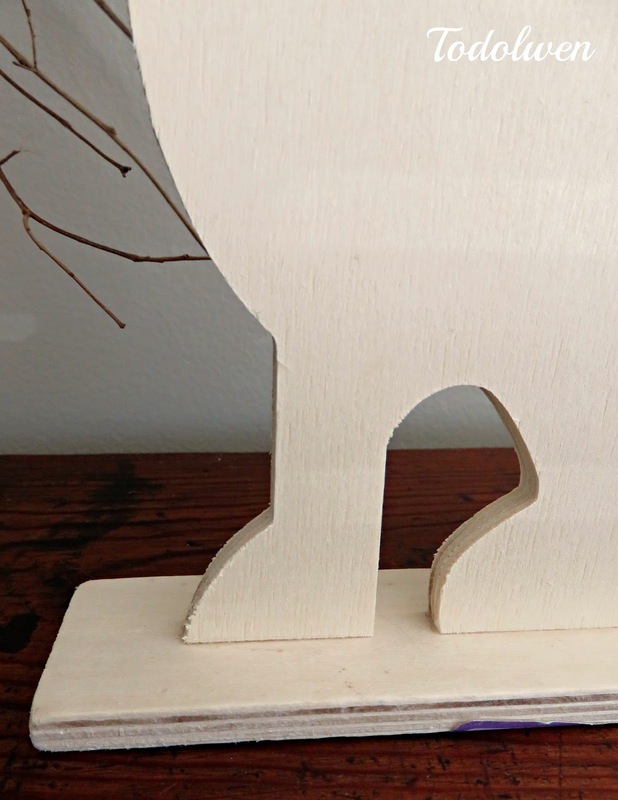 The were a little rough on the edges and in need of a good sanding. 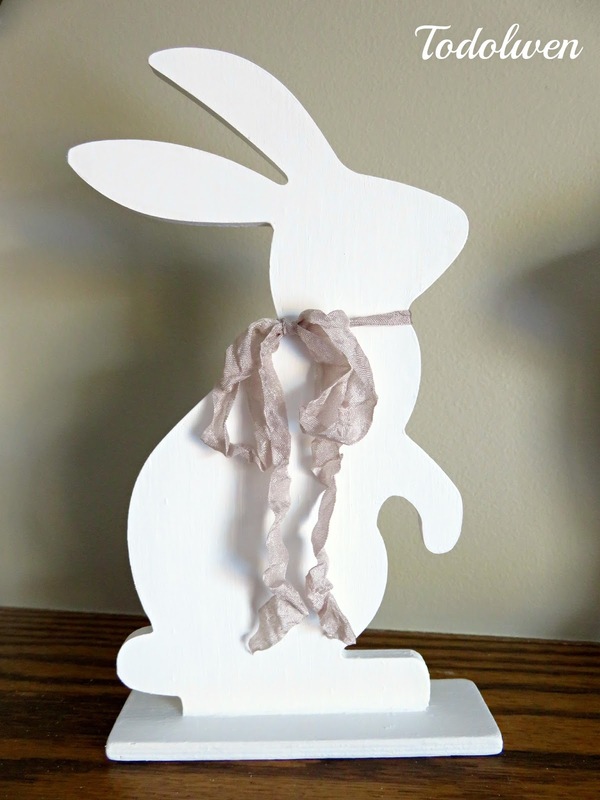 They have a base so they can stand upright and they were like I said just very basic, simple and "plain". 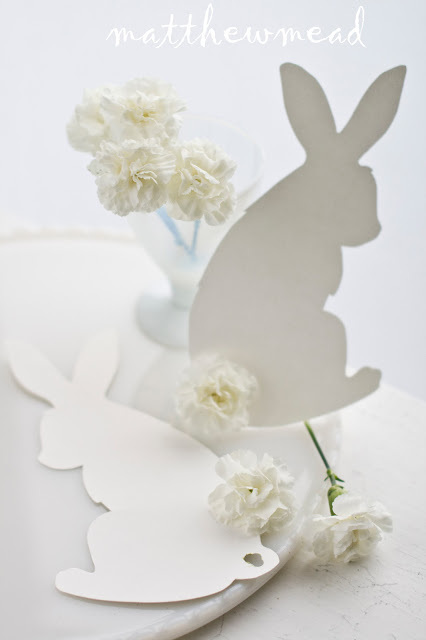 I had seen some of Matthew Mead's Easter decorations a few years ago in which he used "simple" white card bunny cutouts. They looked amazing and I loved that look. 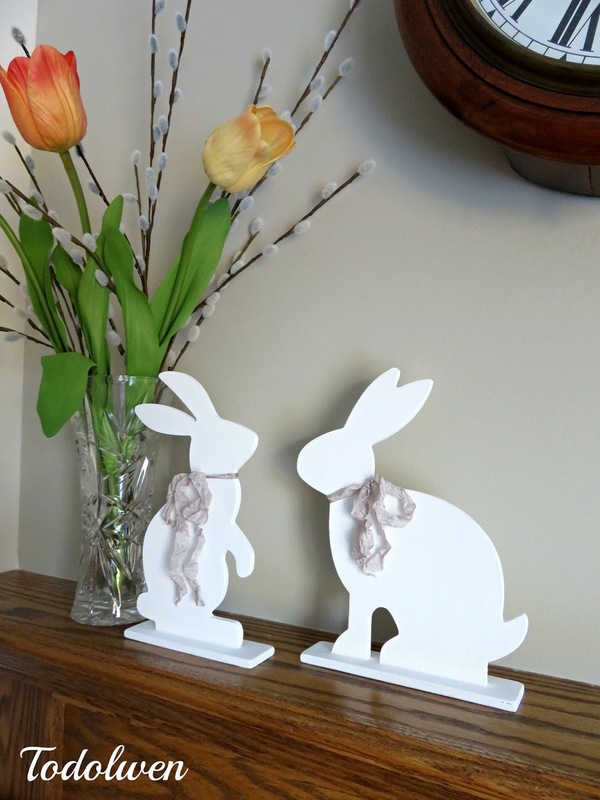 His white bunnies were the inspiration for my two wooden hoppers. I hoped to make mine look nice and a little neat too and that without going over the top. 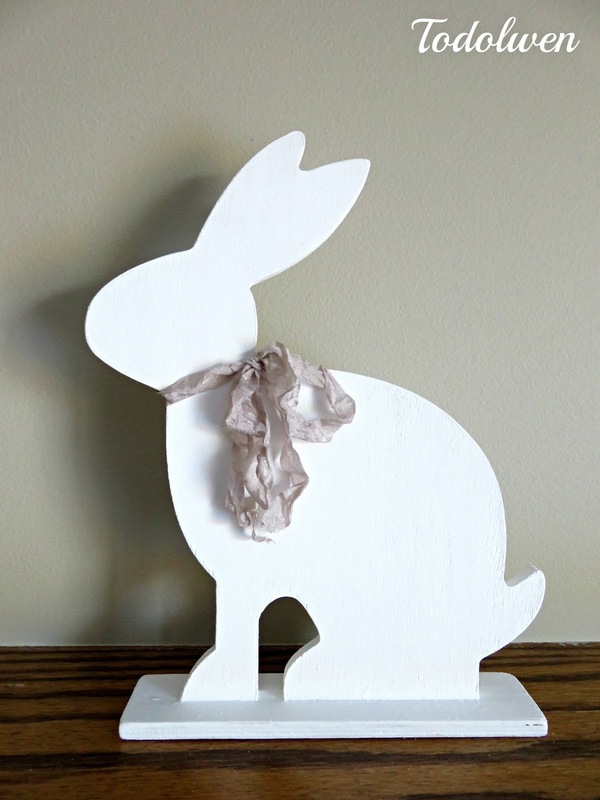 I still like the less is more look very much and that is the way I went with my wooden bunnies. A good sanding, a few coats of white paint and a bow made from crinkled seam binding in a pale color and they were done! ... Simplistic but yet pretty and just the way I like them. 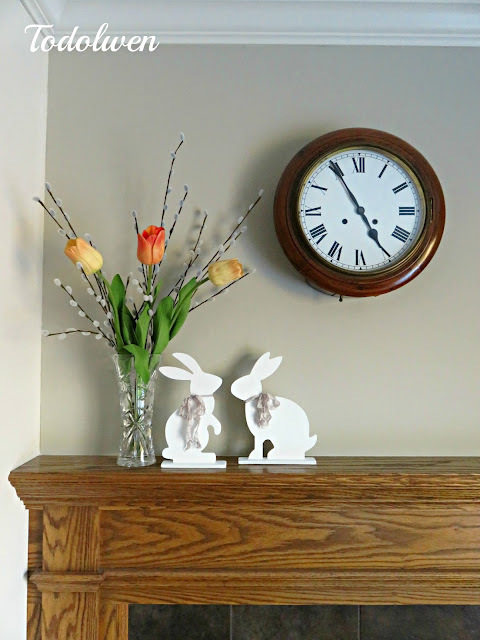 The are now my Spring decor for our family room fireplace mantle. Who would have thought that two wooden bunny silhouettes from the Dollar store, at $2 a piece could look this nice?! One thing I do know thought, is that you don't always have to go all out with money or look. Sometimes a little less can go a long way. ... don't forget to enter your name to my "Christmas To Come" giveaway! You will find my button that will take you to the original post on the top of my right side bar. Thank you for taking the time to stop by here at Todolwen today and I hope you have enjoyed your short stay. Do come back sometime again and see what I have been up too. Genius Karen. These are sweet to begin with and then you made them even better. So clever.